Project Alicia : Sending out Virtual Hugs! I've had a debbie downer kinda week. But I can't tell you about it. No one should whine that much. It feels like life has been on a mission to kick me down and this week I was weak and surrendered for a couple days. Forgive me. I'm human. And carless (as in no car over the holiday weekend after a $625 tab). And if you missed a few of my other annoyances you can check them out in my FFOs this week. I've been trying really hard to keep my blog a place free of negativity. (Unless you count my FFOs, but they are mostly just in good harmless fun.) So be assured I'll be back to my normal self soon. I just wanted to send out some thanks and some giant virtual hugs. You have helped me so much this week. You have no idea. Really. The blogosphere is filled with wonderful, thoughtful, sweet acts of kindness. Just when I was ready to throw in the towel, I would open my mediacom email to find such amazing notes from my bloggy friends or an award or a special surprise that lifted my spirits and was just the thing needed in that moment. I wish I knew the proper words to say here to properly express my gratitude, but I'm not sure there are adequate words. Please know that I appreciate you. And wish there was more that I could do to properly convey that. There are 3 more days left on the $25 itunes giveaway. It was thought up as a way to say thanks to you, my readers. Just start a discussion in my community for a chance to win. I've loved participating in the dicussions. BlogFrog is a wonderful way to bring bloggers together and really have great conversation. I love it. Yesterday I received this note from Deanna of Almost Perfect Women (hope it's ok to share). She writes, "I always love coming to your site, its like having coffee with an old friend." Then I actually had a minute to stroll through my google reader and I found this surprise. I found myself tearing up. What a sweetheart. Thank you Deanna. I also found this little surprise today from Sharra of Bella Angel. Thanks girl. Several times this week I have noticed comments in other's blogs that my fellow bloggy friends have written sending other bloggers my way in support of my Tasty Tuesdays meme. Thanks to Natalie of Mommy of a Monster and Kristi of Live and Love out Loud. And all the other random anonymous acts of kindness that go unnoticed every day. I am touched by the generosity and support that has been shown to me and my little ole blog. The blogging community is like no other place, such comradery. It's something that is hard to describe to a non-blogger. I have many friends that have sent such sweet letters my way, letters of support and encouragement. They are daily visitors to A Beautiful Mess. Thanks to Gigi of Kludgymom and Kristi of Live and Love out Loud for listening to my whining without judgment. 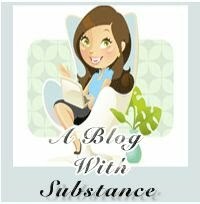 Jen of The Misadventures of Mrs B, The Empress of Good Day Regular People, Mis of Miel et Lait, Tayarra of Honesty and so many others that have shown friendship above and beyond blogging. I'm sorry I can't mention all of you. To all of you new and old bloggy friends alike who come back time and time again and leave comments and show support even when I can't make it your way that day... I THANK YOU. Your words add so much to my days. And I appreciate each and every one. There is no way to mention everyone, but to name some of my regulars (in no particular order)... Maureen of Tattered Scoops, Faith of Simplicity, Melissa of Frugal Creativity, Melissa of Me: Daily, Pumpkin and Piglet, Forty Something Chick from Old Tweener, Liz of a Belle a Bean and a Chicago Dog, Tricia of Tricia's Take, Bruinlab of the Occasional Ex-Pat, Sluiter Nation, Uyen of Ramble Road Ramblings, Firefly of Firefly Blog, Cheryl of Little Bit Quirky, Cheryl of Tidy Mom, Chana of Mamma Town, Tonya of Letters for Lucas, Jean of Typical Suburban Family, Dawn of The Way I See Things, Anonymous from TX, Diary Days of Live Laugh Love, Jessica of Breakfast at Gigi's, Take 2 Reviews, Drama Mama of The Scoop on Poop, KLZ of Taming Insanity, my regular wordless wednesday linkups (plus those already mentioned above or below). Ok, So I'm trying to make this list and I realize maybe it was a bad idea. I cannot mention everyone and I don't want anyone to feel left out. Know that I love all of you, I love hearing from you, and thank you from the bottom of my heart. You know who you are. And this week yet again I am in awe and amazement of not one, but eight awards that have come my way. With all of the talent that is out there, I am always a little taken back when I am the recipient. Angie of Angie's Healthy Living for the Stylish Blogger Award. These are some amazing bloggers, some of my favs. Thanks so much for this humbling honor. Make sure to go stop by and check them out when you have a minute! I'm sending another giant shout out and hug to all my bloggy readers and followers. Whether you stop by daily or occasionally, I appreciate it all the same. I am but one in the sea of blogs in the blogosphere. Thanks for stopping by and brightening my days. Thanks for the laughs, thanks for the support, thanks for being you. And this is one of the reasons why I love blogging! The friends you make here are no different from 'real life' friends, there for both the good and bad times. I'm in the middle of drafting a similar post myself. Bloggy friends rock! You have good bloggie friends because you yourself are a good bloggie friend. I hope that your next week is better than the last. Enjoy your holiday and I'm looking forward to your Tasty Tuesday! Awesome. Congrats on all your awards! Hope you and your family have a great holiday weekend! A very sweet post from a sweet friend! :) Enjoy the weekend. I hope sending out all of those awesome hugs helps you have a fabulous weekend!!! 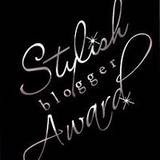 I wanted to let you know I awarded you the Cherry on top award for a beautiful blog. I hope you have a wonderful fourth of July weekend! Yay! What a beautiful and wonderful post! I'm so glad you got the substance award. That's the only award I've gotten and sadly I found your blog after I awarded it. I thought you really deserved it. And your other awards are fabulous! 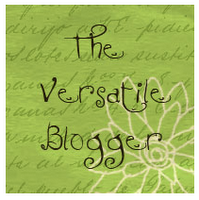 I agree, having the bloggyverse is like nothing else and it is difficult to explain to someone who isn't a blogger. I've actually found myself telling people "I know, I'm weird, I have not one, but TWO blogs." LOL! I shouldn't be ashamed though as all the other bloggers I've connected with are so amazing! I've visited your blog a few times over the past couple of weeks. I hadn't yet commented, but I wanted to let you know now that you have another bloggy friend & follower. Virtual hugs to you, and I hope you have a great holiday weekend! Wow! 8 awards?!?!? You are well-loved (although you don't need the awards to know that!). Thanks for making me feel loved today too! You deserve every single one and I love that you got them several times! that goes to show how amazing YOU are! Aaawww Lish! I'm sorry that you didn't have such a great week and being the person that you are, you didn't even let on that you had a terrible week. But look at all the friends that you have here in the blogosphere...we are all here to support you whenever you need it. You don't have to show us your sunny-side all the time. Thanks for the touching "shout-out"...even though you're Debbi Downer, you still remember your friends. sniff-sniff... love ya, girl! Hope this week will be a million times better for you. Hey, Sweetie, we all have those debbie downer kinda weeks once in a while! You seem like the type to bounce back quicker than you got down!! Love your site. You show 'em how it's done!! We all have off weeks - that's what makes us human! Since, I've started blogging I love the support you get from the blogging world!!! It's amazing!! You always leave me comment love and your comments make me smile. So hopefully, this will put a smile on your face this weekend :) I love reading your blog - fun ideas and your recipes. Everyday when I pop over to your blog it reminds me of a happy place - your music and just your writing. You just seem like a fun up beat person I'm sure you will get out of your Debbie Downer mood soon! I hope you have a great weekend! I do hope this coming week is a better one than last week. Hugs are being sent your way!! And I just wanted to let you know that I absolutely loved your 4th of July chalk idea and shared it on my blog this past Friday for my Feature Friday. Chin up!! I'm sorry that you had a debbie downer of a week. I had one as well and feel absolutely terrible that I couldn't be there to bring a little bit of sunshine your way. I was stuck in my own dark cloud. :( Hopefully we're both on our way up! Thanks so much for the sweet shout out. You know, you receive such kindness from others because you're so willing to offer it up without anything in return. You deserve nothing but wonderful things in life. Have a great day Lish. I've missed talking to you over the last several days. LOL, Thanks for the shoutout!! Just came back from Vacation and where was the first place that I headed? To have a vision of my friends Blog.... Keep up the great work!!! YOU ROCK!! Your one Hot Mama!!! You're such a special person, and I'm glad we're friends. Your emails lift my spirits! And here's a hug right back!! Thank you for including me in your list. I love your blog and try to read all of your posts. You are a gifted photographer and your blog is uplifting and fresh. Keep up the terrific work. :-) Thanks for the mention!